Dr. Suarez-Torres is a distinguished alumnus of the School of Public Health. He earned his master’s of public health in 1979 and his doctorate in epidemiology in 1984. He is the founder and executive director of Fundación Cimas del Ecuador, a non-profit organization focused on the study of the environmental, developmental, and medical problems of Ecuador. The program tracks the severe health problems of a large number of Ecuadorians, most of whom are impoverished. The integrated rural community development approach he and Cimas have developed is attracting the attention of the United Nations and other international organizations as a model that might be replicated elsewhere. Under the leadership of Dr. Suarez-Torres, Cimas has developed important agreements of technical collaboration with the Ministry of Health, Municipality of Pedro Moncayo, and the Pan American Health Organization. Dr. Suarez-Torres is also director of the University of Minnesota’s Minnesota Studies in International Development (MSID) program in Ecuador. MSID is a unique model that combines study abroad and local development work and is recognized as an outstanding program that ties theory and practice with the goal of understanding development though the lens of one’s own specific development. Dr. Suarez-Torres has been key in guiding the philosophy and development of the model as well as an important mentor to program directors in other countries over the past 15 years. 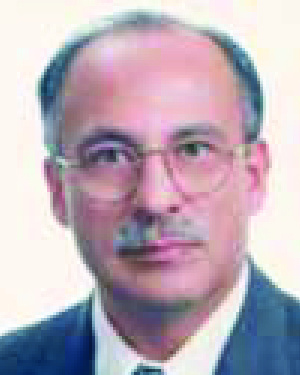 During his career, Dr. Suarez-Torres has held several high positions in Ecuador’s Ministry of Public Health and has served as a consultant to both the Ecuadorian government and the Pan American Health Organization. He is one of Ecuador’s most knowledgeable and eloquent voices on issues of environment and public health and has been called a national treasure. He is also a professor and researcher in the School of Medicine and Public Health at the Central University of Ecuador and a visiting professor at Evergreen State College in Washington. As an alumnus, Dr. Suarez-Torres has been described as an unofficial ambassador of the University of Minnesota. University students have benefited immensely from their work as interns at Cimas and by having Dr. Suarez-Torres as a role model. In naming Dr. Suarez-Torres as a recipient of the Distinguished Leadership Award for Internationals, the selection committee cited his dedication to helping the poorest of the poor in Ecuador. He is considered one of the leading professionals in public health, with a profound commitment to finding alternative solutions to the social and health problems that affect the rural communities in Ecuador.